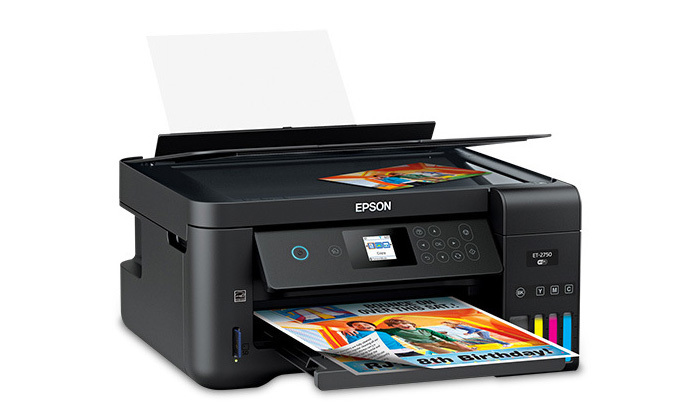 Epson’s Ecotank Supertank printers, like the Expression ET-2750 EcoTank, have enough ink produce about 14,000 pages in black or 11,200 pages in color. It would take more than two dozen cartridge ink sets to do the same job, and $1,500 of you savings to get those cartridges. It is true, the printer is more expeensive (around $230), but if you own it long enough, it’s really quite a bargain. Epson says, one of the main reasons they launched Ecotank was addressing the consumers’ biggest problem of constantly replacing ink cartridges. The price is high and hte ink ends at worst times, usually when the report is due and it’s midnight the night before. There’s also a environmentally friendly aspect of this change. Each bottle replaces up to 30 ink cartridges. That’s a lot of plastic not going into landfills. In it’s Ecotank Supertank series Epson solved the problem of loading ink bottles. The process is no longer messier and the latest models are designed so you can’t really spill the ink and you can’t put the wrong ink in the wrong reservoir. This entry was posted on Tuesday, January 23rd, 2018 at 8:55 am	and is filed under Epson, inkjet, inks, innovation, printer. "Casio Printer Turns Paper Into Faux Leather or Wood"
"Images 3D Printed With Light [VIDEO]"